Taking medication that thickens the blood or promotes clotting. 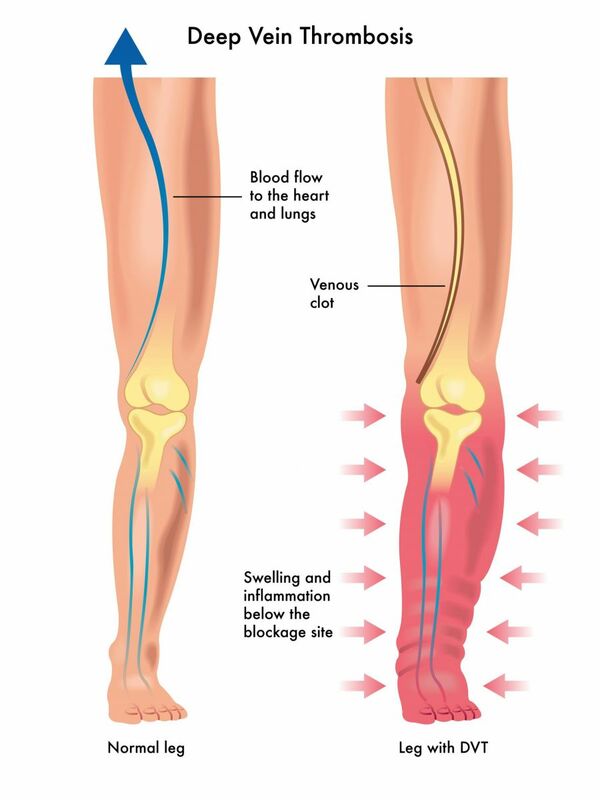 Recent surgery, a broken bone, or other injury that affects a deep vein. Having reduced blood flow to a deep vein as a result of inactivity. Typical causes are post-surgical recovery, or taking a long trip that limits your ability to move around. Having a central venous catheter. Being over the age of 60, being a smoker or being obese.